A marketer’s job is to create connections for people—with brands, with products, and with campaigns that inspire, awe, and make the cash register ring. What are the most meaningful connections energy marketers can create with Hispanic consumers? Like others, our research found a strong commitment to both immediate and extended family members to be a core decision driver for the Hispanic and Latino community. But as Forbes recently warned, we must avoid the predictable trap of affirming generic insights about the importance of family and an undying love for soccer. So, what else did we see in the data? We found that over half of the Hispanic market desires to be more environmentally responsible and makes key decisions in support of home comfort. We also saw that this community has intense pride for their family home, cares deeply for their community and values peace of mind in a changing environment. So why, then, do so many energy marketers focus on price and savings? Why aren’t we connecting the products and services we offer to what truly matters? Is $15 off an energy-efficient dehumidifier what matters to a family? Or is keeping vintage photo albums and family treasures in the basement safe from moisture the bigger driver? Do families care about advanced power strips at a discount? Or is protecting the entertainment system they gather around every week, to watch their favorite team play, a bigger motivator? Would any family invest in a major home system like HVAC with its associated high up-front costs and a long payback period? Perhaps not, unless you could tie your messaging to moments where bigger values can be identified: healthier families, healthier planet, reliability and peace of mind. If you want to build a meaningful connection and relationship with your Hispanic customers, then start with building communications centered on their hopes, aspirations and fears. Ask yourself how your communication creates an emotional connection. Build messaging that connects not just to Hispanic customers but break it down even within this group based on generation. Identify communications that best connect with first-generation vs. second-generation customers. Recognize the second generation’s connection with and trust in the decision making of their parents. Invite a team of diverse employees to weigh in on your campaign planning; the diversity you have in house will be reflected in the work you deliver outside your four walls. Want to hear from Hispanic consumers yourself? 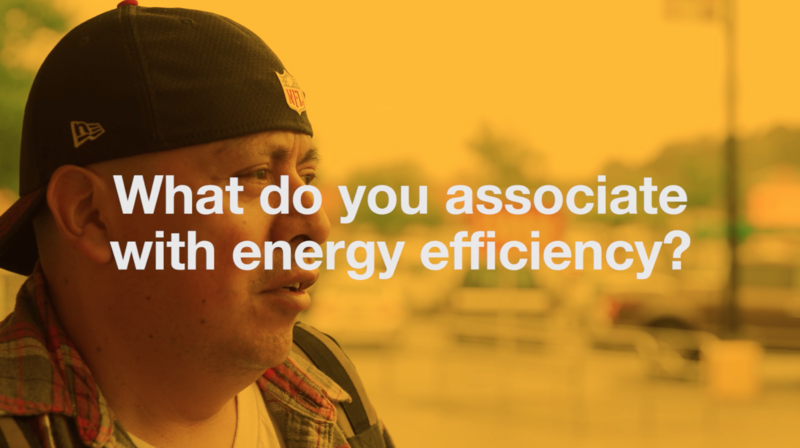 Check out our Voices of the Customer Video on how Hispanic customers think about energy efficiency. Harrison Grubbs, Director of Strategic Partnerships at KSV, will be sharing our research about the Utility of the Future and customer's expectations, at the NECA Conference in South Falmouth, MA on June 4th.